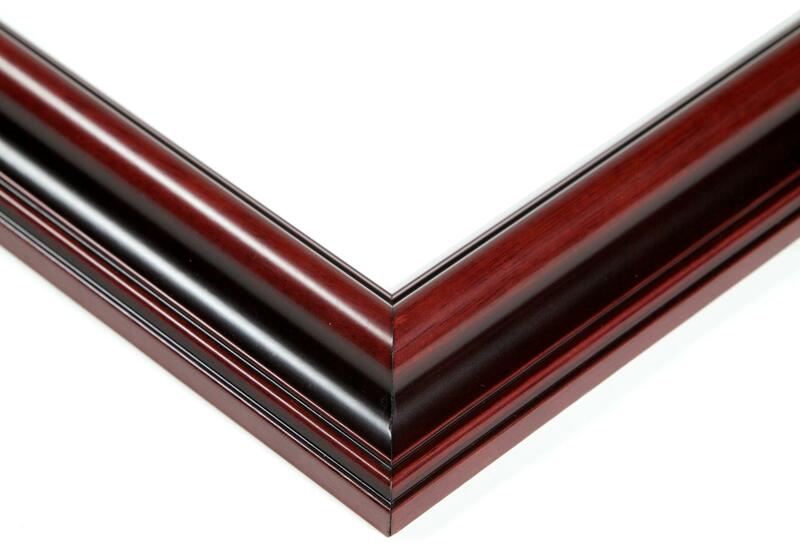 Top of the line Diplomat moulding. 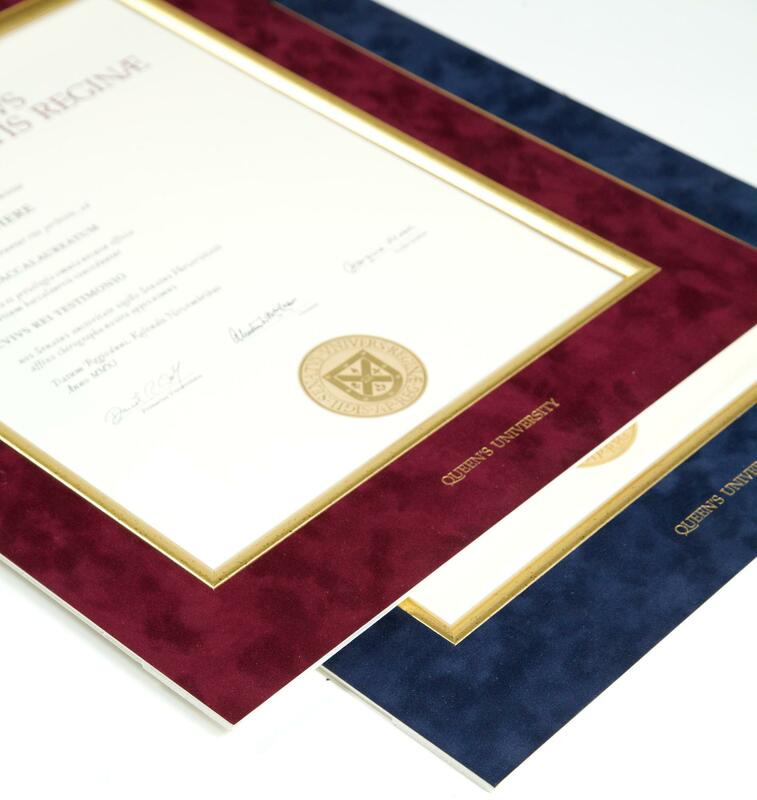 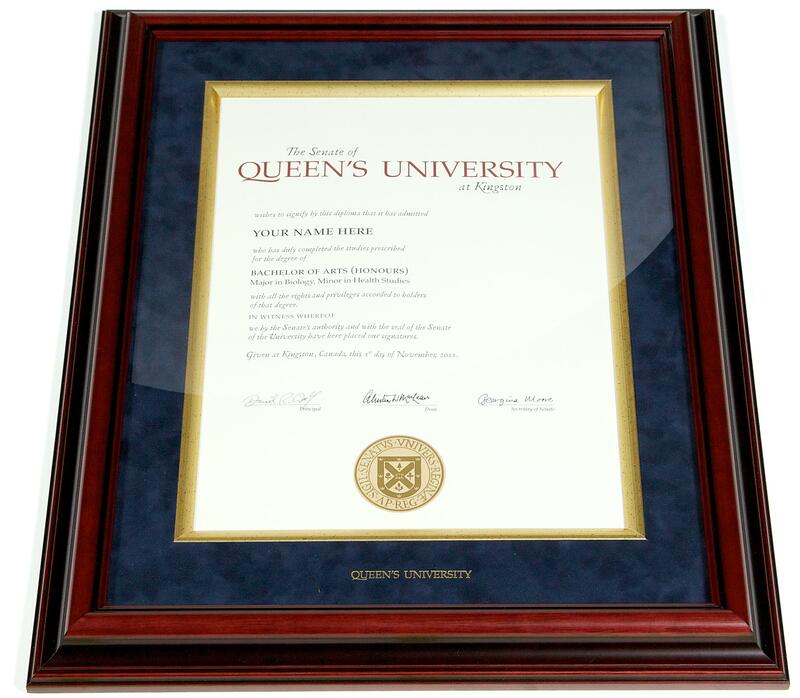 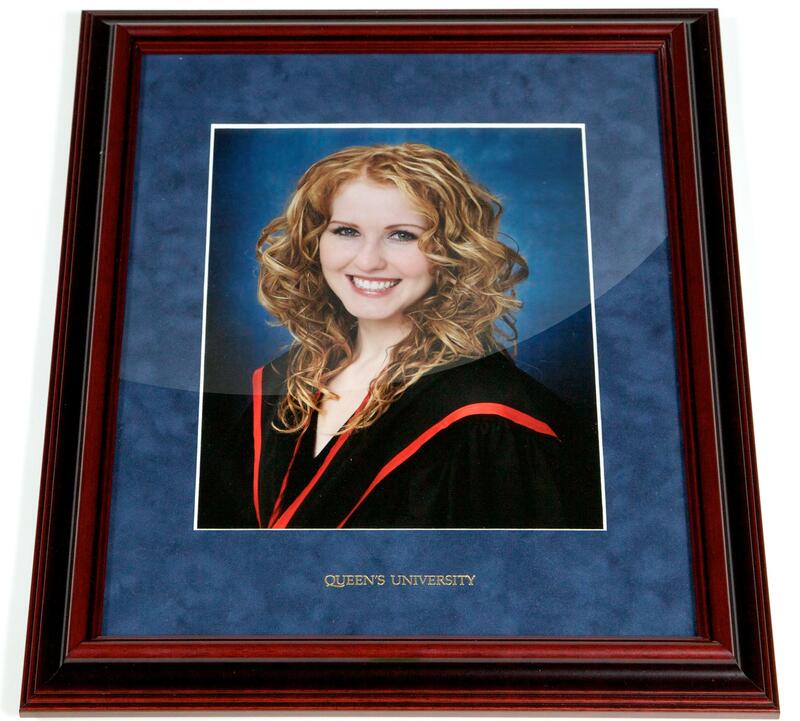 Mahogany satin finished solid hardwood frame, red or blue suede mat with gold wood fillet and "Queen's University" embossed in gold across bottom. 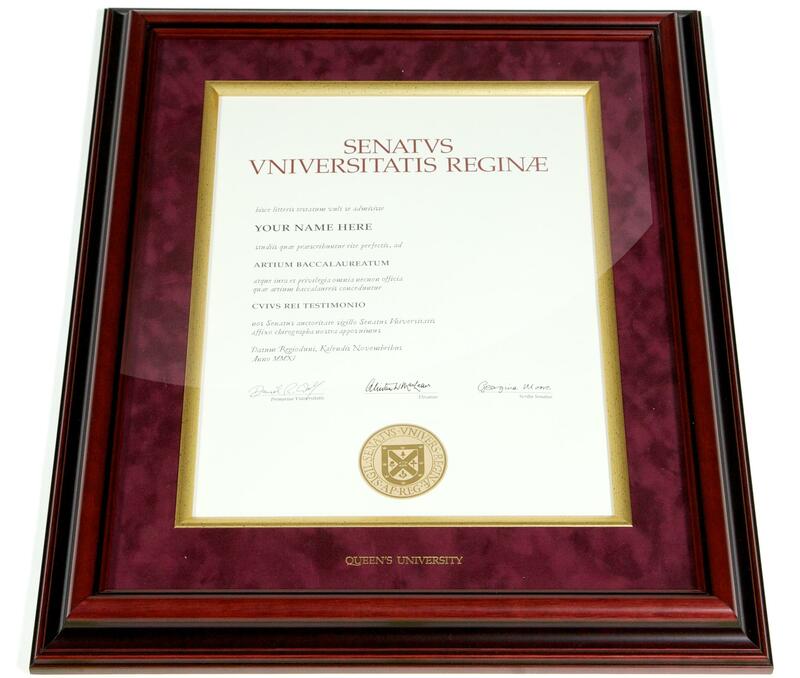 A spectacular frame. 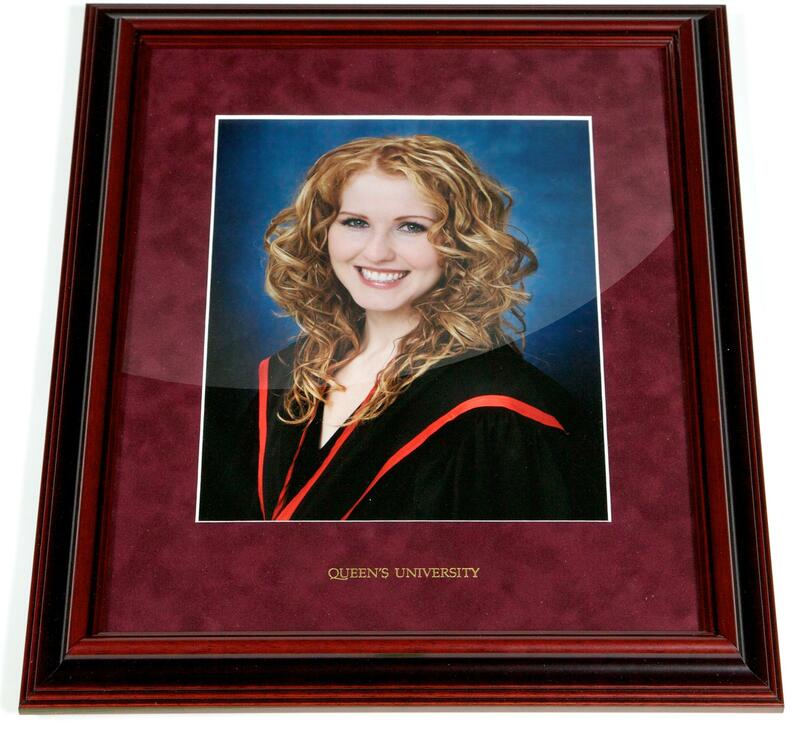 Photo frames (8" x 10" and 5" x 7") also available.